Here are some photos taken at the Melbourne International Flower and Garden Show on Thursday. I was looking at the designer gardens from the point of view of useful elements to encourage wildlife into a garden. The first group are from my favorite, which was all Australian native plants and had a beautiful standard grevillea, a bottle tree and varied plant selection. There are a lot of plants that look good for the leaf colour and texture but gardens designed for wildlife need flowers to provide nectar, pollen and seeds, grasses, water for frogs, birds and insects, mulch, leaf litter rock, logs and planting in layers. The last ones are just a few design elements. The one with the letter C looks like it could be a great idea to combine your street number with a bee hotel. The small nest boxes are cute but it would be better to put the effort into a nest box that would benefit a bird or mammal. It is good to plan to get out and look at gardens that are open to the public or to go to the Melbourne International Flower and Garden Show and see what ideas you can bring into your own garden. Adding a bird bath to a garden opens up the opportunity to encourage more birds and other animals into your garden. If they are placed near a window you will have a constant parade of colour and antics to watch. It is extra special when an echidna drops by for a quick bath. Here area few examples of some bird baths which also cater for insects and possums. Sunflowers are easy to grow and the yellow flowers have a big presence in a garden if you plant a few together. Bees love them. In recent years I have added a few groups in the vegetable garden and usually save the seed for the chooks. Last year I thought the mice were eating the seed but last week I caught the culprits in action. I am happy to share my garden with the local wildlife. 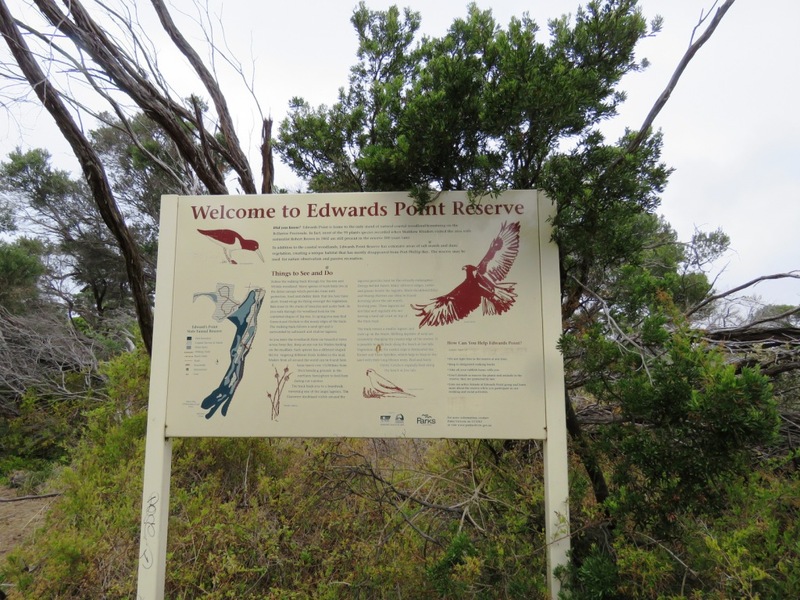 Last Monday we visited Edwards Point Nature Conservation Reserve on the coast at St Leonards, on the Bellarine Peninsular. We went in from the access point at the end of Beach Road. In misty rain we headed off down the sandy track to see the coastal moonah woodland, views across the saltmarsh and a end with a walk along the beach. 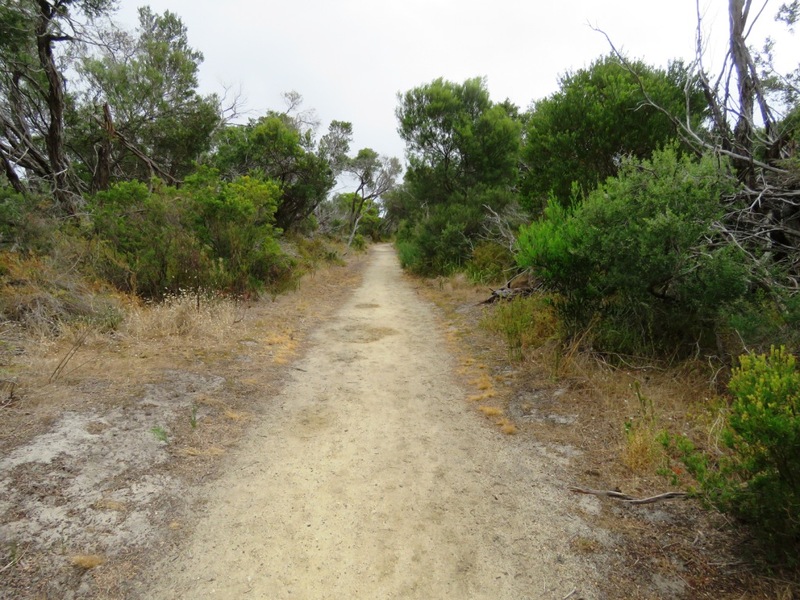 The path heads through coastal wirilda, coast tea-tree and coast beard heath, which are listed as a threatened plant community. 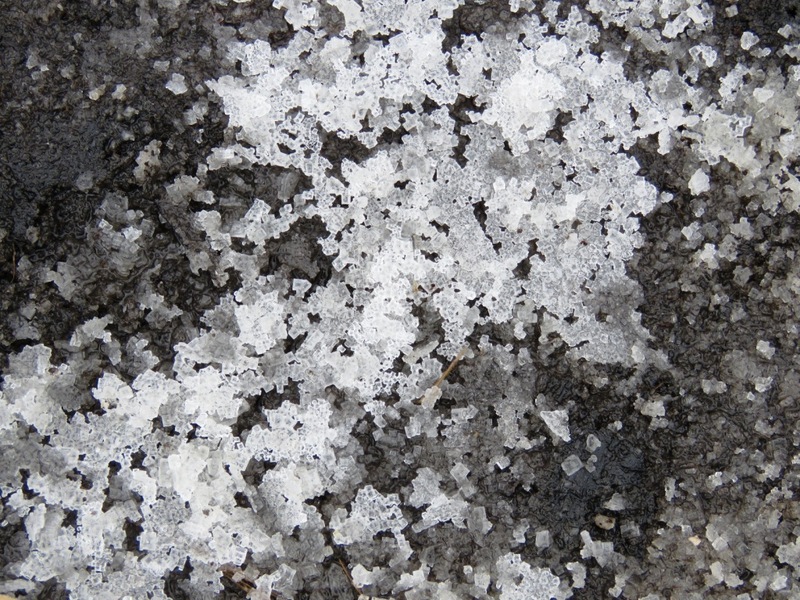 Some plants were looking very dry and stressed and it was interesting to see salt crystals forming where puddles had been. After while the vegetation opens up and the vegetation changes to plants that tolerate a more saline condition and across in the distance swans are observed in Swan Bay. 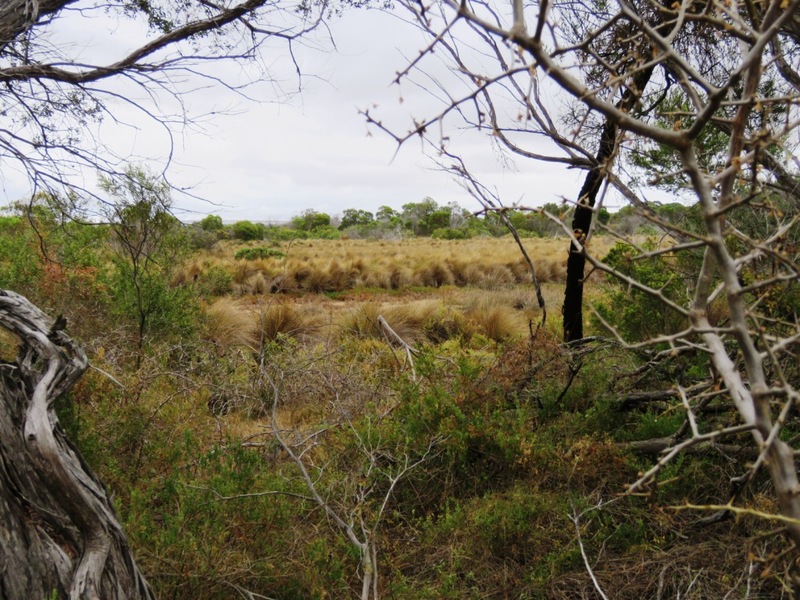 A boardwalk leads through the saltmarsh plant community. There is an opportunity the take a shorter route back to the carpark via the beach, but we decided to walk the extra distance through to the small viewing platform at Two Bays Lookout. The view was beautiful and there were a lot of people out on various types of craft enjoying the mild conditions and the last day of the long weekend. This year we have a family of blue-winged parrots in the garden for the first time. Luckily I am not that keen on mowing so there are quite a few seed heads for them to eat. They spend a lot of time on the ground. It is frustrating when you go to all the trouble of putting up nest boxes to have them go unused. Is it the position, the way the opening faces or the contents inside? On a recent check of the rainwater tank the strainer was full of a lot of leaf material that hadn’t just washed in. It looks like a possum was furnishing its new home. In the long term it isn’t a sustainable site especially when it rains. We have moved an unused nest box onto the tank and added the leaf material and hope the possum tries out the new residence soon. While flowers are harder to find in the peak of summer there are still a few interesting insects, spiders and other things to photograph. As we come into autumn take some time out to see what is really out in the garden or local bushland.